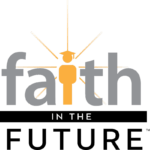 Faith in the Future (FIF) provides strategic management and operational oversight of 17 high schools and four schools of special education owned by the Archdiocese of Philadelphia serving over 13,000 students. Designed term sheet and management contract with Archdiocese guaranteeing that FIF would underwrite operational deficits of the school system as a whole in exchange for operational control.. Reversed a decline of over 1,300 students annually. Most of the schools now projecting modest growth in student enrollment. Turned around a sizable system-wide projected annual operating deficit to produce a five-year cumulative surplus. Built from scratch an advancement operation that raised over $27mm in five years while also increasing school-level fundraising from $10mm annually to $25.2mm in year five. Successfully completed long-term strategic planning process to strengthen and grow the entire operation into a financially sustainable model for 21st century learning. See the latest annual report attached. 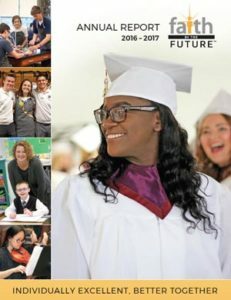 FIF is among the top Catholic school management organizations in the U.S. leading a national renaissance in Catholic education. Catholic schools, as well as other faith-based institutions, are “underperforming assets” that need to be managed differently if they are to realize their enormous potential. Worldwide lower-performing schools serving under-served populations with the right resources and support can be turned into schools of excellence and powerful beacons of hope.